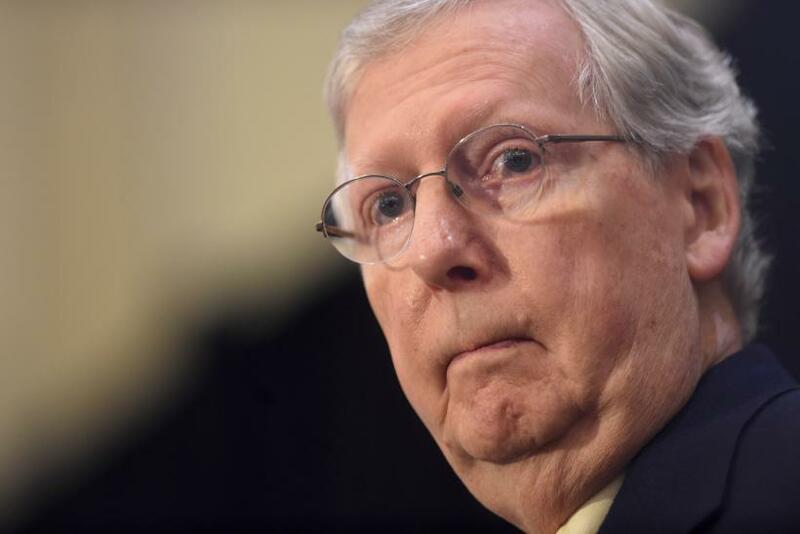 UPDATE: April 6, 2017, 12:45 p.m. EST — Senate Republicans voted to approve the nuclear option after Senate Majority Leader Mitch McConnell called for the vote. Senators approved the nuclear option by a 52-48 vote, allowing the Senate to confirm Supreme Court Nominee Neil Gorsuch with a simple majority of 51 votes. Senate Republicans ignited the "nuclear option" to allow confirmation of President Donald Trump’s U.S. Supreme Court nominee and bar Democrats from blocking future picks. President Donald Trump is known for his exaggerated rhetoric. When Trump told Senate Majority Leader Mitch McConnell to “go nuclear,” he wasn’t literally suggesting that McConnell throw a nuclear weapon at the Senate. So what exactly does he mean? Here’s the challenge: Trump nominated Neil Gorsuch to the Supreme Court Tuesday evening. Gorsuch, a conservative, needs 60 votes from the Senate to be confirmed. But there are only 52 Republicans in the Senate, and many Democrats have already expressed doubts about voting for Gorsuch — especially after Republicans refused to even consider Merrick Garland, President Barack Obama’s Supreme Court pick last year. So what if the Senate can’t get to 60 votes to vote Gorsuch in? That’s where the nuclear option comes in. The nuclear option would change the rules so that Gorsuch would only need a simple majority (51 votes) to be confirmed to the Supreme Court. It's a move that some worry would heighten hyperpartisan divides rather than encourage bipartisanship. The Senate triggered the nuclear option once before, in 2013. The Democrats were in power then, and they changed the rules so that all executive appointments — other than the Supreme Court nominee — would need 51 votes to be confirmed rather than 60 votes. “It's a sad day in the history of the Senate,” McConnell said of the Democrats’ decision four years ago. But these days, McConnell may be singing a different tune. “My answer’s going to be ... [Democrats] have set the standard. They have set it. My counterpart actually invented where we are now. And all we can do is send up a great nominee,” McConnell told Politico last week. As for Trump? He’s given McConnell the go-ahead to blast the nuke, so to speak.